My baby is not a baby anymore. At 4 years old, he has been asking to start school, so this year we are homeschooling preschool. This has been a bit of a culture shock for me. 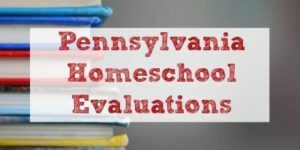 We started our homeschool journey with kindergarten and first grade, but we were part of a cyber school so I didn’t have to think about curriculum. With 4 years of homeschooling and more than a decade in public school teaching under my belt, this was my first time looking for preschool materials. 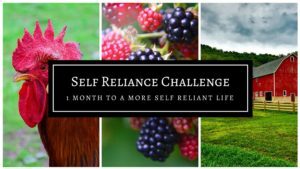 I spent a good chunk of the summer looking at different resources, and then I realized something – there is too much out there! Preschoolers don’t need workbooks. They don’t need tons of manipulatives. What they do need is plenty of opportunities to play, to run around outdoors, and to be creative. 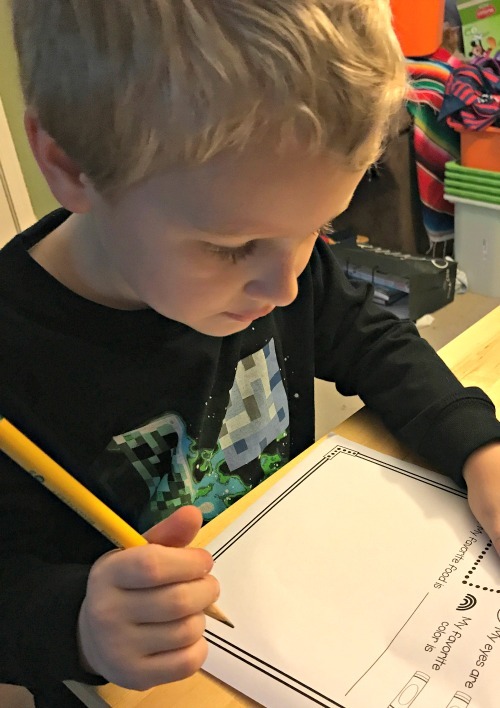 We have two formal resources for preschool – Handwriting Without Tears and Teach Your Child to Read in 100 Easy Lessons. It is our first time using the Handwriting Without Tears series, and so far I like it. It covers a fair amount of early handwriting and fine motor skill development. Teach Your Child to Read was first recommended to me about 5 years ago by a friend who used to teach kindergarten. I have used this book as a literacy resource for all of my children and I absolutely love it! The lessons are brief, about 15-20 minutes long, and there is no additional prep work or materials needed which I truly appreciate. Since my son is only 4, we don’t do formal school every day. The rest of the time we learn through play. So many of the toys we have had on hand since my oldest was preschool age are perfect to use as a learning resource now. 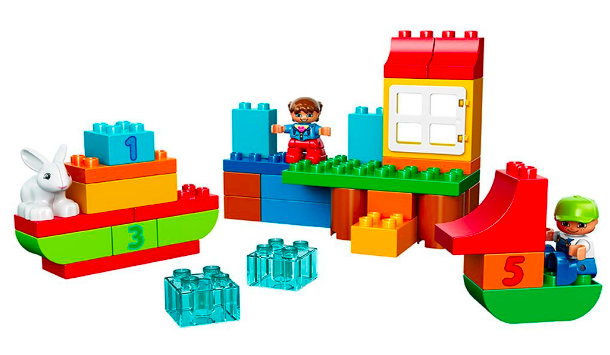 We use LEGO DUPLO building blocks for counting, making patterns, and creative play. 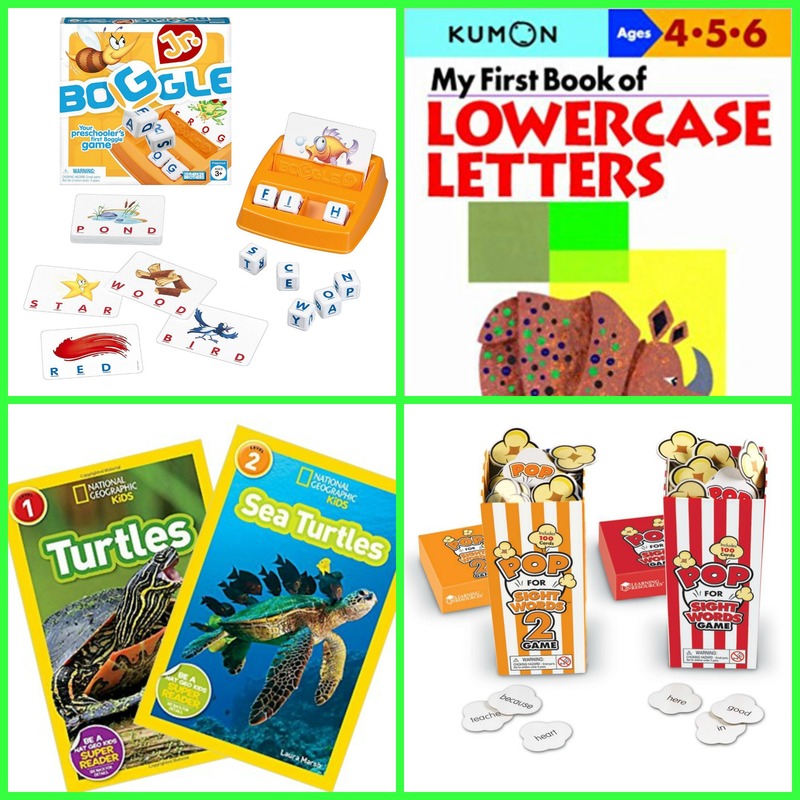 Learning Resources makes a wide variety of educational toys that are perfect for home or in the preschool classroom. Our favorite is the Farmers’ Market Color Sorting Set. 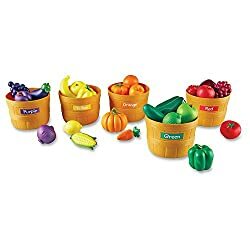 While we use the bins with the fruits & veggies as intended (color sorting), my son also uses all of the foods when playing chef or kitchen and “cooking” with his big sister. 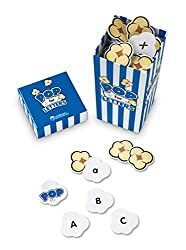 Learning Resources also has a game called POP! There are different versions of the game for sight words, letters, blends, and word families. We own several of these games, and my older children like to play as well, but we have the POP for Letters specifically for my youngest. Sewing cards are another great resource for developing fine motor skills. My son likes to sew with me and will sit down with his cards and a shoelace to sew with mommy. I am fairly certain that my son’s favorite item in our homeschool room is our easel. 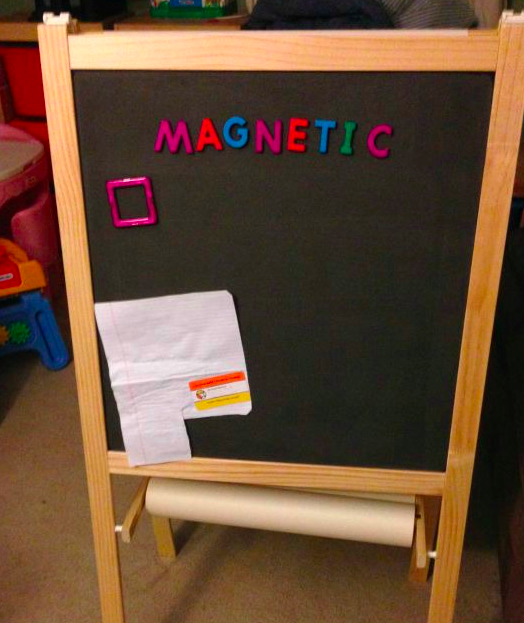 We have an IKEA Måla Easel that we modified to be a magnetic board on one side and then it has a roll of paper on the other. He spends countless hours at the easel drawing, writing his name, tracing letters, and playing with magnetic letters and tiles. This was the best investment in our homeschool room to date. 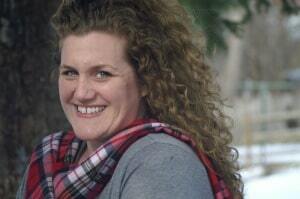 Preschool resources don’t have to cost an arm & a leg. 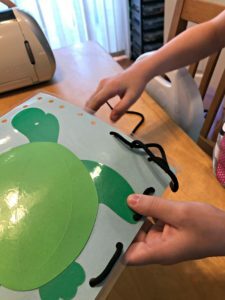 The items we use as part of our homeschool day are also used during regular playtime. That’s how children learn best and its how we can keep them excited about learning as they get older.